Here at Hume Hire, we have a wide range of truck hire equipment available. No matter what type of bulk material you plan to carry, we have it all from small tipper trucks to larger models and can meet a wide range of needs at rates you can afford. Whether you are looking for wet hire, complete with an operator, or dry hire, equipment without an operator, we can provide the bogie drive that will fulfil your project needs. 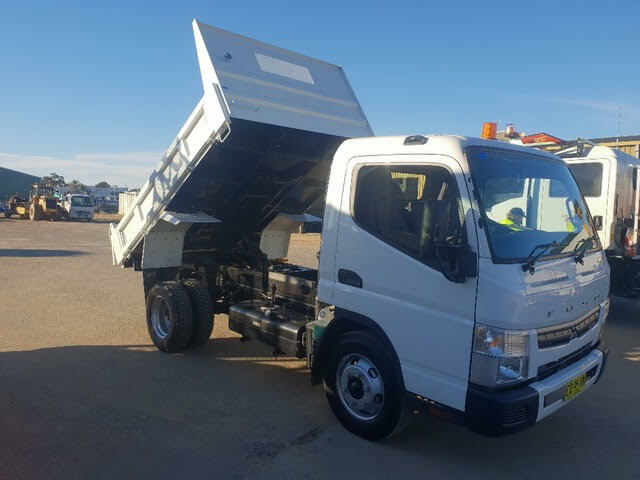 This 2016 Hino tipper truck is a great rental choice for your next project. Whether you’re hauling sand, gravel or another material, our tipper hire will help you get it where it needs to go. Each tipper we offer is heavy-duty, well-maintained and is able to take on any project. Our trucks are reliable, efficient and ready when you are no matter what you need to haul. At Hume Hire, we understand not all projects are the same. Our years of experience and expertise in the earthmoving and construction industry enable us to provide flexible products for hire that serve a wide range of possibilities. 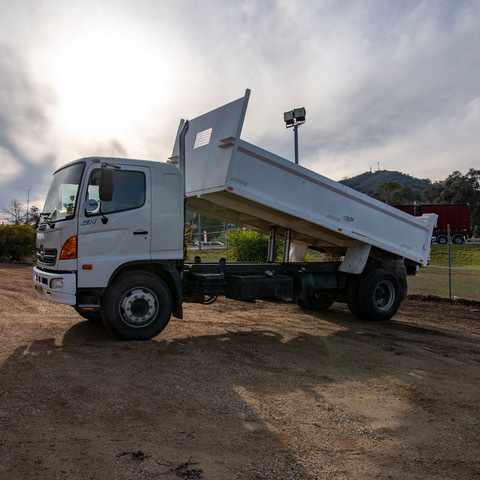 Whether you need a small tipper truck or larger model, you can rest easy knowing it will always be in good working order. We ensure all our products for hire are well-maintained, so you will have no problems completing your project safely, on-time and within your budget. We provide bogie drive to project managers, engineers, civil construction companies and government contracts. We also serve DIY, residential and domestic projects. We offer competitive rates with a focus on providing customer satisfaction. Our rental service expands to Albury, Southern New South Wales, Wodonga, Wagga Wagga, Northern Victoria and Shepparton. Our friendly, knowledgeable team is always here to answer questions and provide information on all the equipment and services we offer. Contact us today and let us take care of your tipper hire needs. We’ll even give you an obligation-free quote.